Note:1 Prize each for top-performers from DAVIET and GNDU(all campuses). You just need to have a CodeChef username to participate. but seperate registration is required. If you do not have a CodeChef ID create one here. 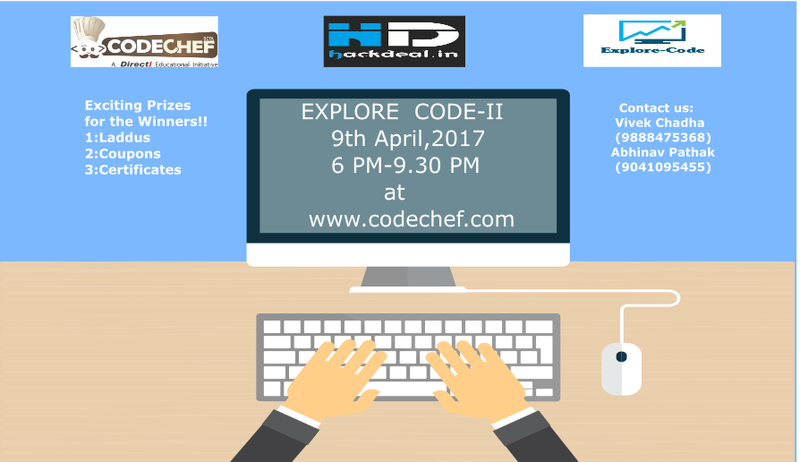 Please contact vivekchadha786@gmail.com or abhipathak1096@gmail.com for any queries during the contest.